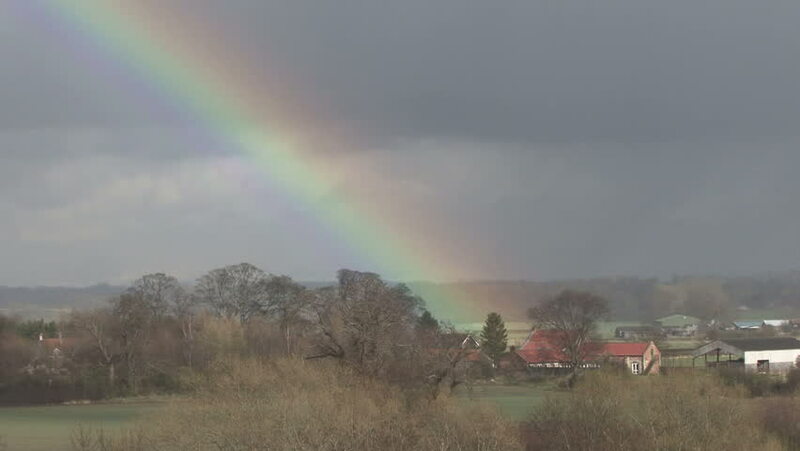 Rainbow over Oxney Flatts Farm 2. HD. hd00:11Northern Lights on the Kola Peninsula. Teriberka, Murmansk region, Russia. Full HD. hd00:08Rainbow in the National Brazilian Park Sempre Vivas. Brazilian cerrado plants, Minas Gerais, Brazil. 4k00:16Drone footage of Raja Ampat, Indonesia with a rainbow behind Pulau Arborek covered in tropical vegetation, a village in the middle and colorful shallow coral reef in front. hd00:10Time lapse of rainbow formation with thick dramatic cloud motion during late afternoon by the river in Sabah Malaysian Borneo.